I have come out of my long absence to bring great news! As of 2 months ago, it finally happened! Copy Kitty full release on Steam! HELL YEAH! I have been following this game for a long time now. It was already great years ago, and it has gotten way better since then, with more features and modes, more levels and bosses, and even cooler weapons! Do you like fast-paced action platformers? Do you like pretty explosions? Do you like crystal-footed cats? Basically, this game is a 2D-sidescrolling jump-and-shoot game. 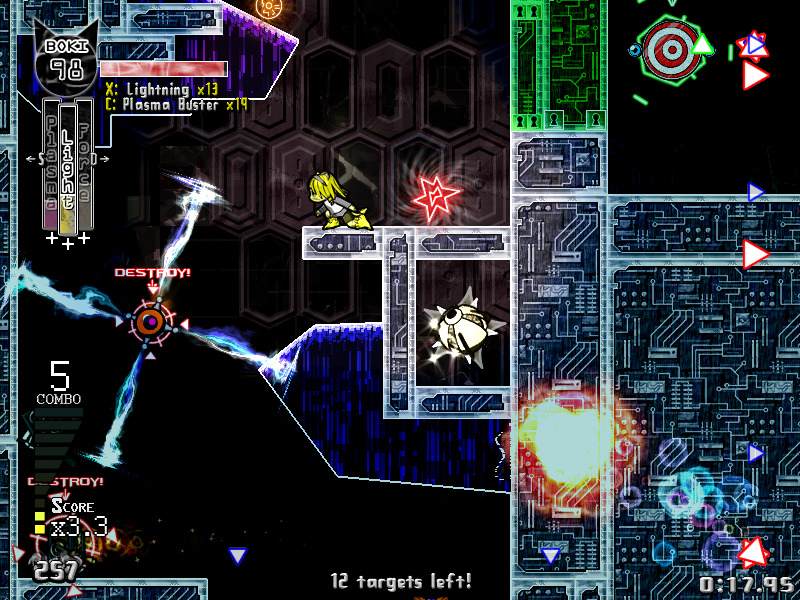 You play as a cat who is training to become a superhero by destroying robots in cyberspace. Sounds weird? Doesn't matter, it is a hell of a lot of fun to play. 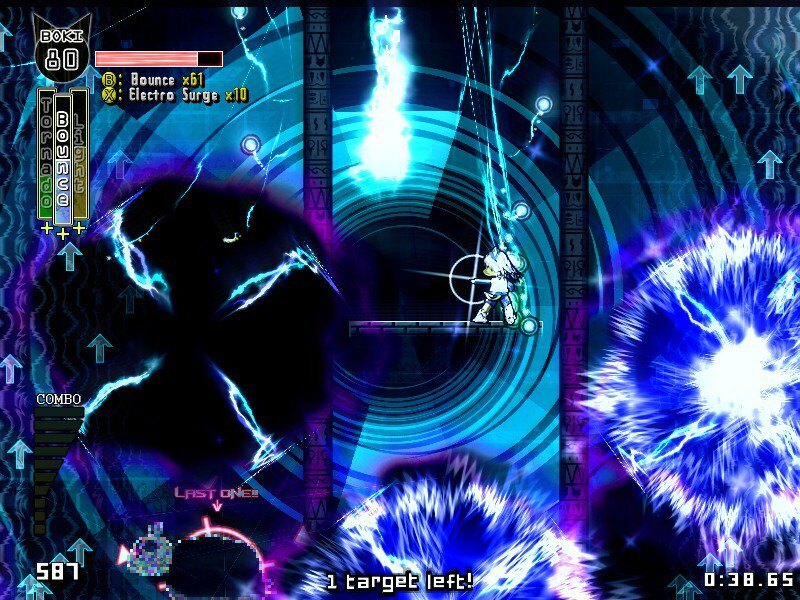 The game is very colorful with lots of boolit, so I am pretty sure folks who like touhou would also like this game. Which makes sense, considering the two people who made it used to frequent Rika's Garage on this forum, haha. The music is also great, and there is a pretty extensive level editor as well. Anyone else here who has played (or wants to play) the game? 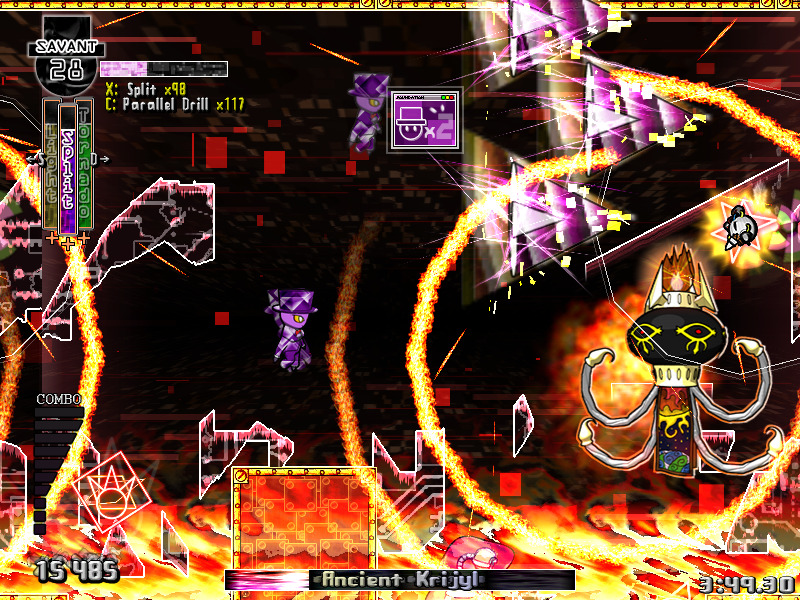 Re: Copy Kitty: Blowing up robots in cyberspace! FINALLY COMPLETE AND ON STEAM! I watched the raocow letsplay it was a lot of fun. It's a fun game. It even tracks number of explosions you've caused. Hypercube Kryjil can go die in a fire, tho. Has anybody else made any cool custom stages they would like to share? The integration with steam workshop is currently still being worked on, so unless you have visited the discord and opted into the beta, we'd have to share them manually. Shouldn't be a problem though. ...Well shut my mouth, steam workshop support went live today so now you can easily share your levels with other people and check out the stuff that other people have made. AND the game is on a Steam sale right now.